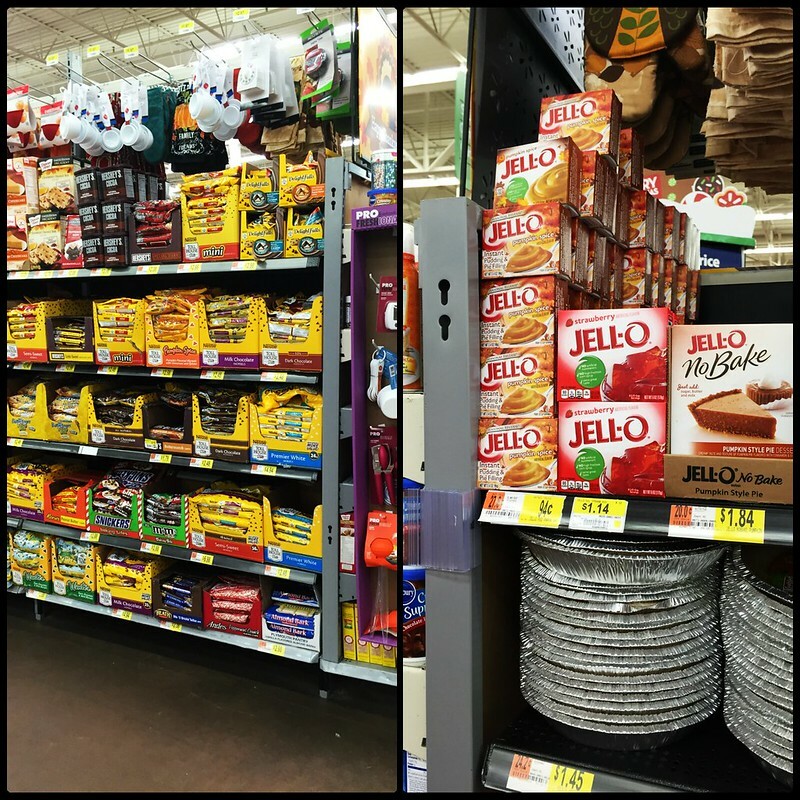 I found my ingredients at my Walmart’s Bake Center. Every year, I look out for this special display in Walmart. It’s definitely one of the highlights of the holiday baking season. 1. Prepare each instant pudding per the directions on the box. Let the pudding set over night in the fridge. This is not absolutely required, but I think it helps when you layer the trifle. 2. The next day, coarsely chop the BAKER’S Semi-Sweet Chocolate. 3. Place the cookie sandwiches in a bag and smash with a rolling pin. 4. Start layering the trifle! 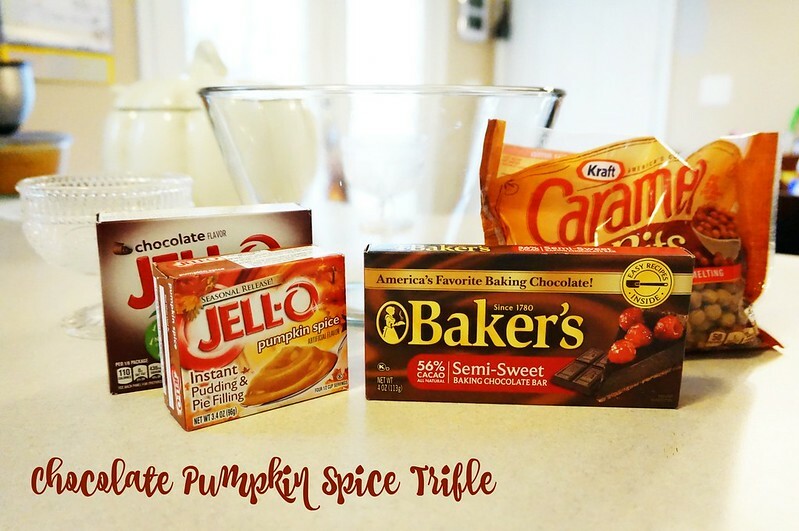 Layer the JELL-O Chocolate Instant Pudding, cookie sandwiches, JELL-O Pumpkin Spice Flavor Instant Pudding, and BAKER’S Semi-Sweet Chocolate. Then, repeat those layers. 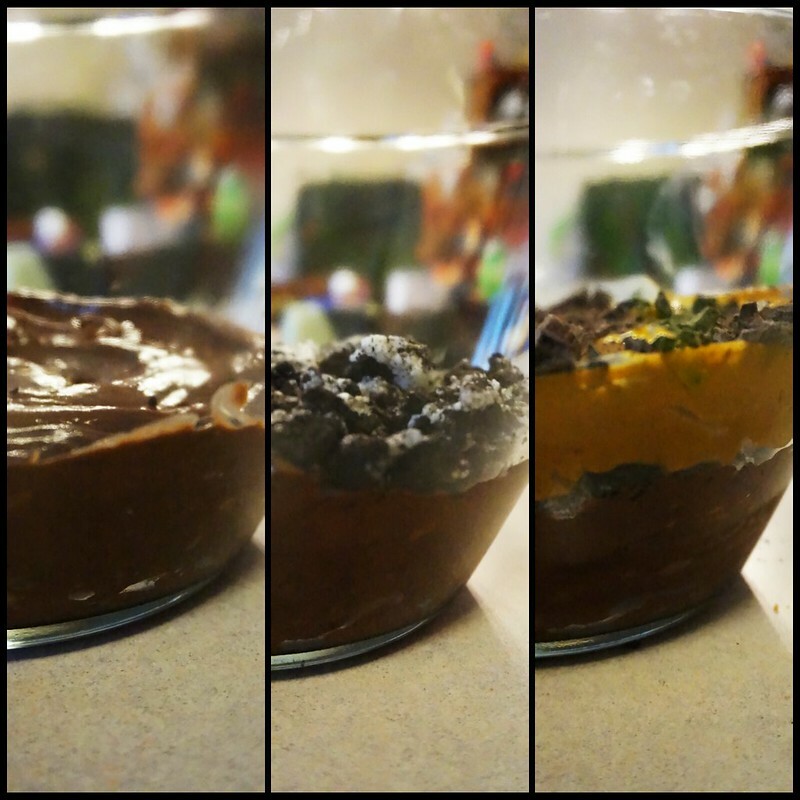 I like to the end with the pumpkin spice JELL-O and BAKER’S Semi-Sweet Chocolate, because the color contrast is so pretty. 5. 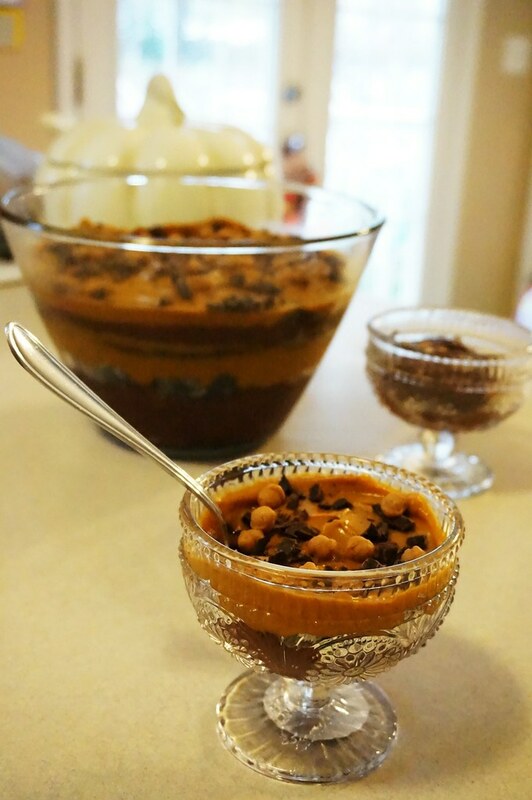 Garnish with the KRAFT Caramel Bits when you’re reading to serve. One final suggestion! 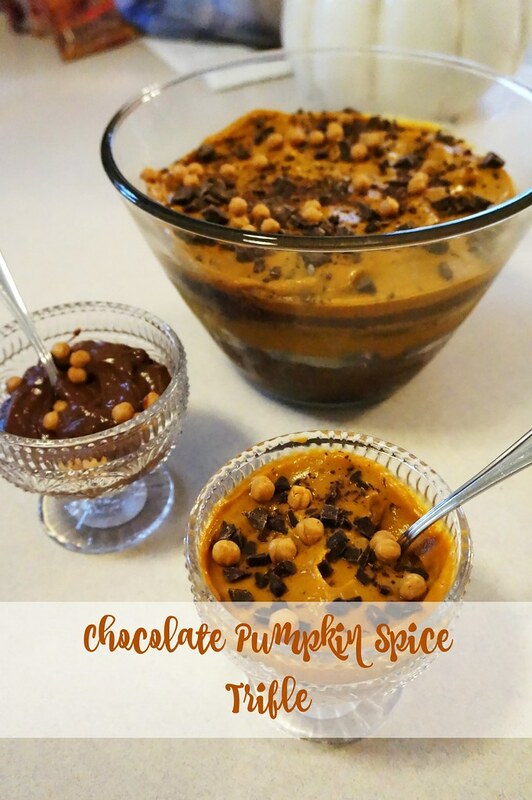 If you are serving kids at your holiday meal who aren’t into pumpkin spice, I would have an extra box of JELL-O Chocolate Instant Pudding on hand. You could set out some toppings, like the KRAFT Caramel Bits, so they can sprinkle on whatever they like!